Not really hungover but the day flew by and so did yesterday. We had a great time on Halloween night with our friends who came over. So much fun we apparently forgot to take pictures. All we have are the handful of fuzzy ones I took with my phone while I was not chasing dogs in costumes or the little Superman who was visiting around the house. The weather was soggy so trick-or-treating was minimal. 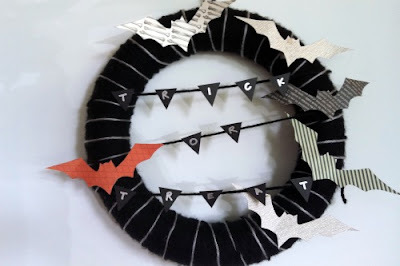 Not many were even able to see my bat wreath and we have a ton of candy left over. 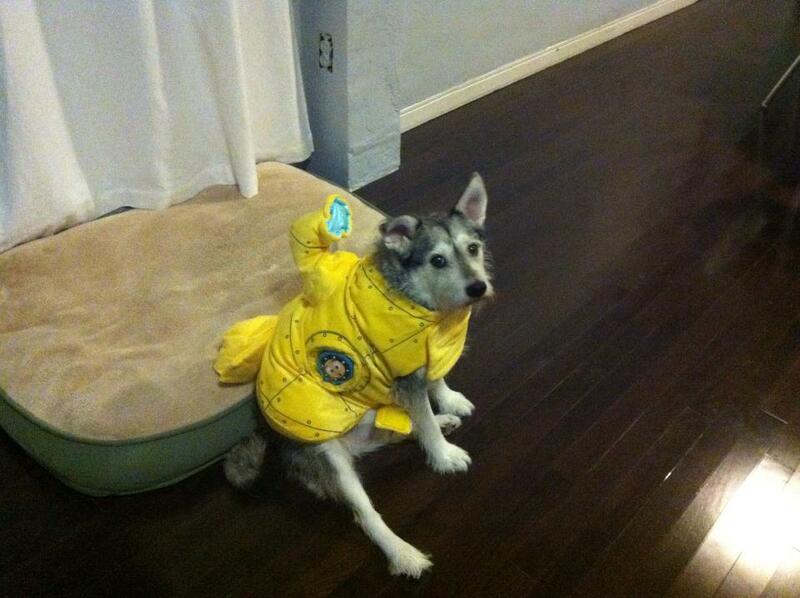 My little yellow submarine, Dylan. Dylan and Lily the shark. Sorry for the crappy photos. I didn’t even get any of my table set ups or decorations around the house. Next year…. 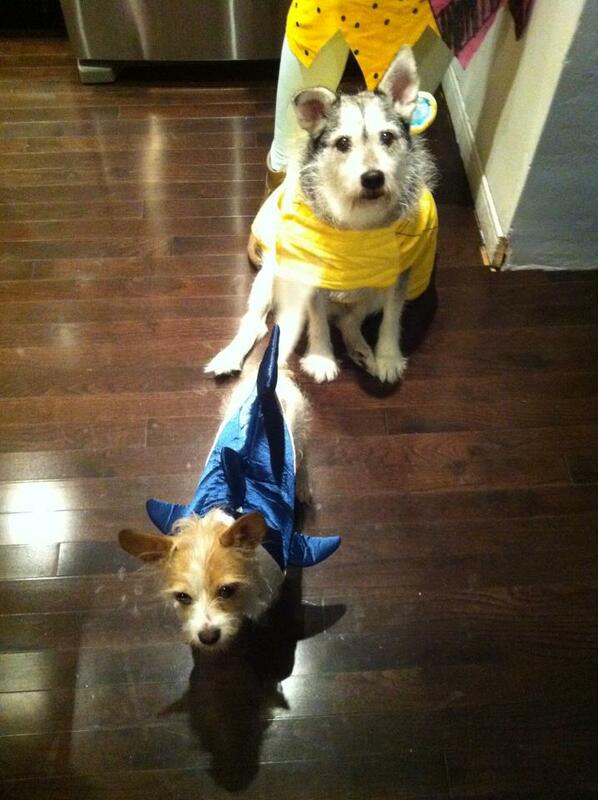 LOL – those dogs are too cute in their costumes! I bet they felt so proud wearing them. oh i feel ya! those dogs are hilarious- love it!!!! how can i stop myself from sneaking pieces of my children’s candy???? ugh.